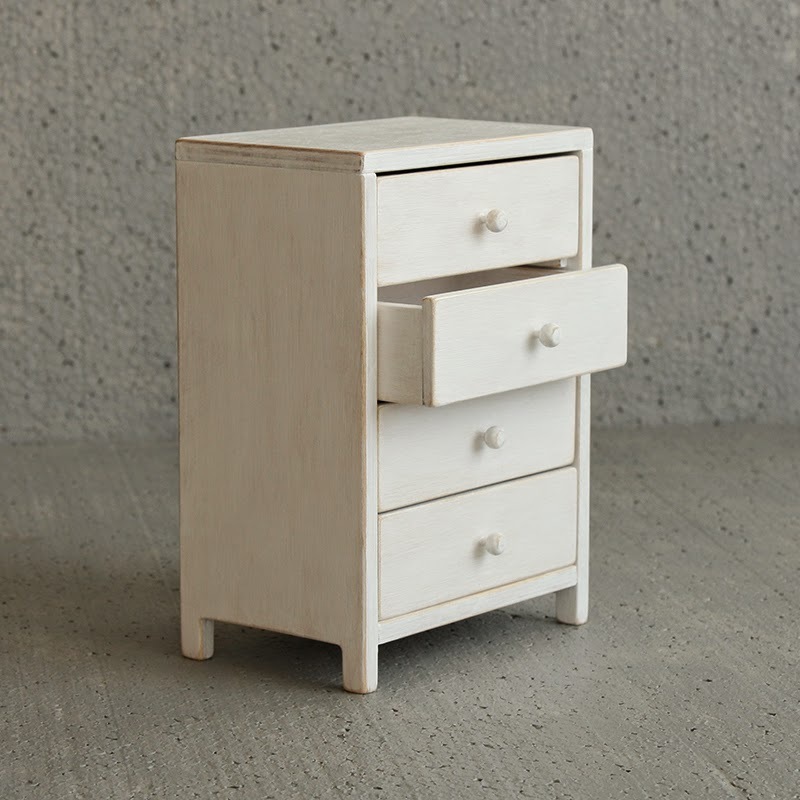 Chest of drawers for 10-12 inches dolls. Model 614-01. It contains a lot of dolls' treasures. Height 14cm (5 1/2"), width 10,2cm (4"), depth 6,4cm (2 1/2").